Comment: The bird is stooping on the landing of the arch. Th arch is very tall. Spikes will do the job hopefully. Comment: With the warm weather this past weekend we saw a winged termite swarm out of the trim around our front door. Liberty Services Of America Inc.
Macomb Pest Control Services are rated 4.56 out of 5 based on 826 reviews of 15 pros. 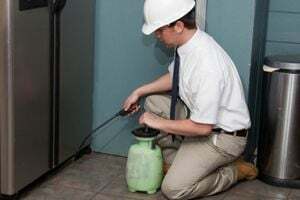 Not Looking for Pest Control Contractors in Macomb, MI?